Well, when you create a power center in government, crony operatives will attempt to influence that power center. Government "healthcare" is such a power center. "The Senate leadership bill that doesn’t repeal Obamacare, is Obamacare-lite and is loaded with pork, it’s become a porkfest where they’re dumping billions of dollars into pet projects for individual senators. 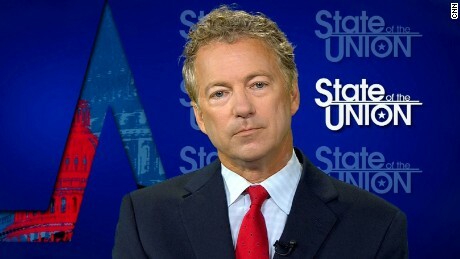 I’m not for that," Rand said on Sunday on CNN’s State of the Union. “I’ve told them I will vote for a motion to proceed if we proceed to a clean repeal vote. If it fails they can put up their monstrosity that they want to put forward, but I’m not for that because I’m not for the taxpayer subsidising private industry,” he continued.